Found as a stray, this sweet boy came to Best Friends in summer 2018 from another sanctuary. Pink with beautiful gold eyelashes, Kevin was born in 2014. He loves people and belly rubs more than anything, but he also enjoys training and snoozing in the shade next to other pigs. 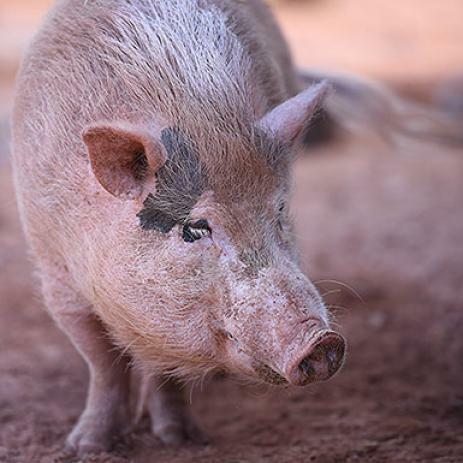 This mellow, kind soul needs a laid back forever home with other pigs and tons of attention.